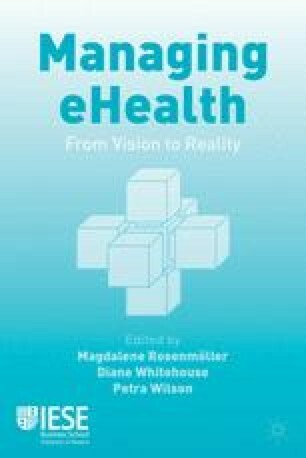 European Commission (2004), e-Health — Making Healthcare Better for European Citizens: An Action Plan for a European e-Health area, COM (2004) 356 final. http://eur-lex.europa.eu/LexUriServ/LexUriServ.do?uri=COM:2004:0356:FIN:EN:PDF [Accessed 18 December 2013]. European Commission (2012a), eHealth Action Plan 2012–2020 — Innovative healthcare for the 21st century, COM (2012) 736 final.http://ec.europa.eu/health/ehealth/docs/com_2012_736_en.pdf [Accessed 18 December 2013]. European Commission (2012b), Taking forward the Strategic Implementation Plan of the European Innovation Partnership on Active and Healthy Ageing. COM(2012) 83 final.http://ec.europa.eu/health/ageing/docs/com_2012_83_en.pdf [Accessed 18 December 2013]. European Commission (2013), A Clean Air Programme for Europe. COM(2013) 918 final. http://ec.europa.eu/environment/air/pdf/clean_air/Communication%20Clean%20 Air%20Programme.pdf [Accessed 18 December 2013]. European Health Literacy Survey (HLS-EU) (2012), http://www.maastrichtuniversity.nl/web/Institutes/FHML/CAPHRI/DepartmentsCAPHRI/InternationalHealth/ResearchINTHEALTH/Projects/HealthLiteracyHLSEU.htm[Accessed 18 December 2013]. International Federation for Information Processing Working Group 9.2 (IFIP WG9.2) (2010), Converging Technologies: body, brain, and being, Working Conference in Maribor, Slovenia. 17 and 18 May 2010. http://www.itas.kit.edu/downloads/ ta-kalender_20100518_cfp_converging_technologies_ifip_wg9.pdf [Accessed 18 December 2013].